Pitchfork Music Festival took over Union Park this weekend with a killer lineup, perfect weather, copious amounts of Goose Island beer and some of the most fashion-forward fest-goers we've ever seen. When our eyes weren't fixed on one of three stages, we were scoping out the next big trends all around us. Take note: Jumpsuits, denim jackets, fanny packs and colorful hair are all very in. 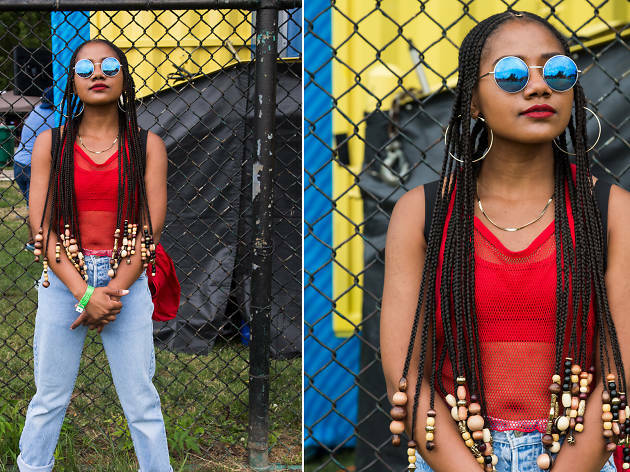 Check out the styles we were coveting all weekend, and get some inspiration for the remaining Chicago music festivals to hit town this summer.